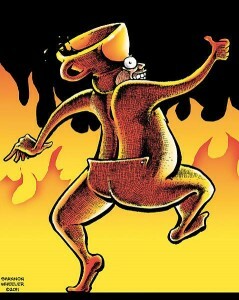 Too much coffee, man! Or trying to understand high activity in children and severe mood swings in adulthood. With help from Deep Purple, Keith Moon, Kay Redfield Jamison, and Too Much Coffee Man! You gotta hear me sing. My friend happened to have copies of Deep Purple’s classic double live album, Made in Japan and the fabulous Live at Leeds by The Who. So did that make him a speed freak? According to the sage from the sixth form, we would need to get hold of some speed and find out. This was out of the question, so our erstwhile guru came up with another idea. He had read in Oz magazine that caffeine taken in large quantities had much the same impact as taking amphetamines: a buzzy feeling where you feel elated and slightly floaty. Then your impulses start to get reduced and you have brilliant ideas that come whizzing into your mind and you are flooded with energy. So why not drink gallons of coffee and see if Child in Time and Speed King by Deep Purple or The Who’s My Generation take on a new significance? So we sneaked down to the corner shop, scored 100 grams of Maxwell House and went stark raving bonkers. I took the first of 10 cups at 2pm and was still wide awake mid-afternoon the following day. And Did Deep Purple appeal to us at a greater fundamental level after practically overdosing on the strong black stuff? Totally. My memory of what happened is still crystal clear, as were all the ludicrous thoughts that came unbidden into my mind for 24 hours after my first cup of instant caffeine. On the way ‘up’ we couldn’t stop talking, laughing, running around and playing air drums. We listened to Deep Purple and The Who for as long as the kids around us could endure, but we only wanted to hear the very fast and frenetic songs. That meant we could only tolerate the middle part of Child in Time and were driven crazy with impatience by the slow, tinselly bit at the beginning. Coffee number four: Are you talking to me? What the 17-year-old wizard failed to tell us was that if you have too much caffeine you start to feel extremely nervous, shaky and paranoid. I guess at some point I must have peaked and started a slow descent, as I remember thinking everyone was looking at me in a funny way (they were) and later screaming along to Ian Gillan in the screechy middle bit of Child in Time and bursting into tears. 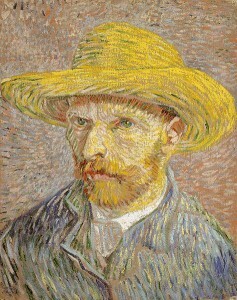 My friend was in exactly the same condition, and to my eyes he began to look more and more like Van Gogh on a very bad day. During the wee small hours of the long dark night of my soul I became distinctly unhappy and anxious, and wanted to listen to Leonard Cohen. That surely was a sign that my ‘high’ must have gradually started to wear off and become replaced by a totally severe low. It was silly of us to do what we did, and I’ve never drunk 10 cups of coffee in succession since. However I am a fan of Too Much Coffee Man, who drinks way too much coffee every day and suffers from mania and anxiety and can’t operate without his fix. I know it’s wrong to take drugs, and that any stimulant is best avoided or taken in moderation. But if I ever have more than one cup of coffee per day I begin to think of Keith Moon. Keith felt his place in life was to be a part of The Who. Drummers argue about whether Moon was an inspirational drummer or just wild, and even John Entwhistle, the Who’s bassist who would have most to do with Moon, was also initially unsure. However Keith fitted perfectly into the band’s image as being aggressive, destructive and wild onstage. Unfortunately, Keith had all these attributes offstage as well. Moon and Entwhistle developed a penchant for smashing up hotel bedrooms, and in particular planting as much dynamite as they could in the toilet and then blowing the little boys’ room to smithereens. After that Keith and John would trash the room and leave no stone (or piece of furniture) unturned until they had thrown the telly out of the window. At the end of one mammoth US tour Moon allegedly had made only £40 after expenses (mainly damage to hotel rooms and plumbing systems). 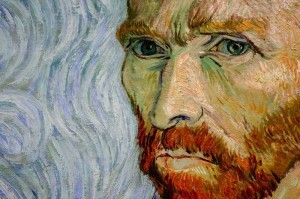 He must have been impossible to live with and increasingly, I suspect, found it difficult to live with himself. His excesses were such that they eventually impaired his ability to perform and the band were seriously considering firing him. Though Kenny Jones took over after Moon’s death from a drug overdose, Roger Daltry couldn’t accept him. Jones may have been technically proficient, but lacked Keith’s inspired flair. 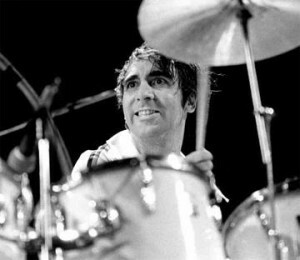 Keith Moon was often described as being totally manic and impulsive. As a child he was ‘hyperactive’ and The Who must have been the perfect place for him. I wonder if he actually lived with what was then called manic depression, where his great highs were often followed by deep lows. This condition is now known as Bipolar Disorder. Maybe if he was a child now he would be diagnosed with ADHD. It’s too late to know, but Keith certainly had his uses when an audience of 500,000 needed to be kept warm and entertained at 2am at the 1970 Isle of Wight Festival. His non-stop energy during gigs drove the band on and kept the audience at a fabulous pitch of intensity, making The Who possibly the greatest live band of all time (though women tell me that Roger Daltry’s chest added a lot of appeal). 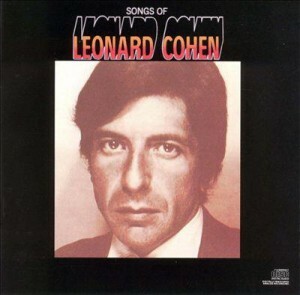 Leonard Cohen was on the same bill at Isle of Wight and apparently drove everyone back to their tents in despair and to brew up a Thermos of instant. I’m not trying to suggest that drinking too much coffee is in any way like having ADHD or Bipolar Disorder. But it does give me, in some small way, an insight into how it might feel to be excitable, with the potential for impulsivity and getting out of control and the accompanying anxiety this generates. Coffee can give you a great buzz, but can be associated with a big low if you don’t get your daily ‘fix’, or after you have had too much. Perhaps this is how children with ADHD and adults with Bipolar Disorder feel. I’ve recently been reading Professor Kay Redfield Jamison’s fascinating account of having Bipolar Disorder, An Unquiet Mind: A Memoir of Moods and Madness. Professor Jamison is not only a leading authority on Bipolar, but has the condition herself. This makes the book informative and fascinating on many levels. It’s very disturbing, but ultimately positive. Her view is that having bipolar can unleash high degrees of energy and intuition, which if harnessed can lead to creativity. Unfortunately, as we know from the lives and work of Spike Milligan, Stephen Fry, Sinead O’Connor and many entertainers, singers, musicians and writers, the flashes of creative genius can be followed by crippling depression. Whether or not we can truly understand what it is like to have ADHD or Bipolar, we may at times need to help children talk about mood swings. This will be likely if we are working with children whose parents have a diagnosis of Bipolar or have wide mood swings. It can’t be easy to explain to children why yesterday it was fine to run up and down the stairs at home and tell jokes and make a mess on the tablecloth, but today you must be very quiet and keep out of Mummy’s way and do exactly as you are told straight away. Or why it is not your fault if sometimes Daddy sits in a chair and doesn’t seem to notice you, while only a few days ago he was buying you lots of presents and running around with you in the park. My favourite books to help children and adults share all things emotional are by Max Velthuijs. 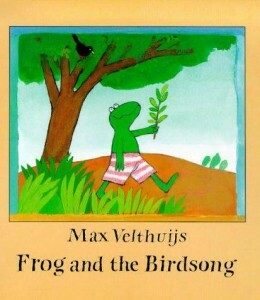 His stories about Frog and his animal friends help us to explore the human condition and topics such as death, self-image and prejudice. Frog is Sad gives children an insight into mood swings, in the gentlest possible way. It doesn’t explain why someone can suddenly be overwhelmed by feelings of sadness or blankness. But sharing this book with a sympathetic adult can help acknowledge that mummy or daddy may have this difficulty, and opens the way for the child to share how they feel. I like this book as an adult, as it reminds me that many people have mood swings, for reasons that are quite inexplicable. And I like to remind myself that children with ADHD or adults with Bipolar have an intensified version of something that we all experience from time to time. I also know that I need to stay off the coffee. Insightful, interesting, useful with fun references to my teenage years…. 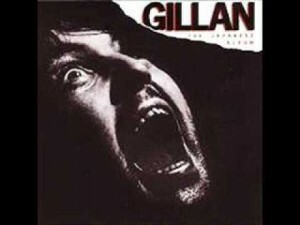 Don’t you just want to take a pair of scissors to Ian Gillan’s hair and give it a bit of ‘shape’?! ?